It seems like just the other day that we were writing the 2012 wrap up (read that here). But here we are at the end of 2013 already! We’re excited to report that the positive trends we shared with you a year ago are still in full effect: Towns across the country are continuing to veto and repeal Breed Specific Legislation, shelters are dropping blanket restrictions from their adoption polices, and community advocates are busy connecting families with much needed pet-related resources. 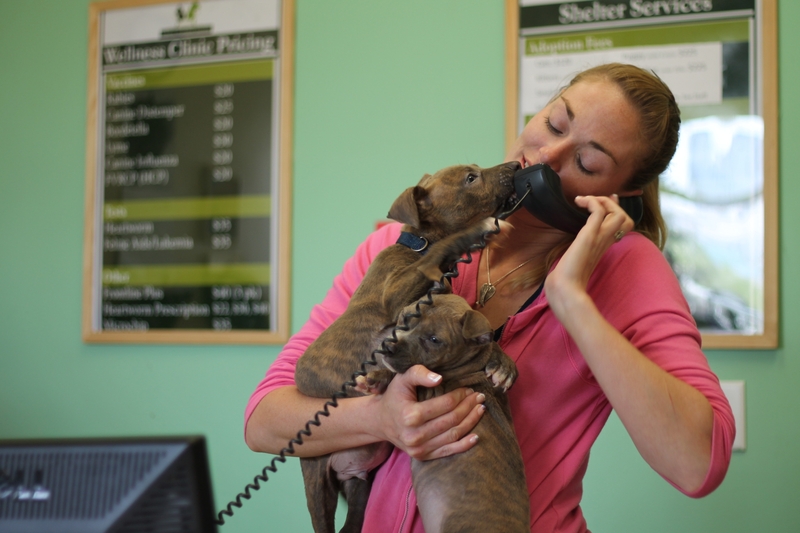 This continual positive shift for “pit bull” dogs and their families has allowed us to commit more time in 2013 to working with a variety of shelters, their staff, and volunteers. It’s not exactly headline news or breaking research, but getting to work one-on-one with shelters is big stuff! Why? Because shelters are the local animal experts in their community, working with and speaking on behalf of “pit bull” dogs and their families. For that reason, the time we spend working with shelters is always worthwhile (and a lot of fun!). Charlotte Mecklenburg Animal Care and Control, North Carolina: Starts adopting out victims of dog fighting for the first time. When a group of 27 “pit bull” dogs was confiscated from a dog fighting operation at the beginning of 2013, CMACC saw this case as an opportunity to evolve and dropped their former policy to euthanize all dogs from alleged dog fighting operations. Rather than making assumptions about the dogs’ future behavior based on their past, CMACC opted to evaluate each dog as an individual. This approach, along with marketing the dogs to potential adopters in their community and partnering with rescues around the country, was a success for many of the dogs. It’s an excellent start toward treating victims of cruelty as individuals. 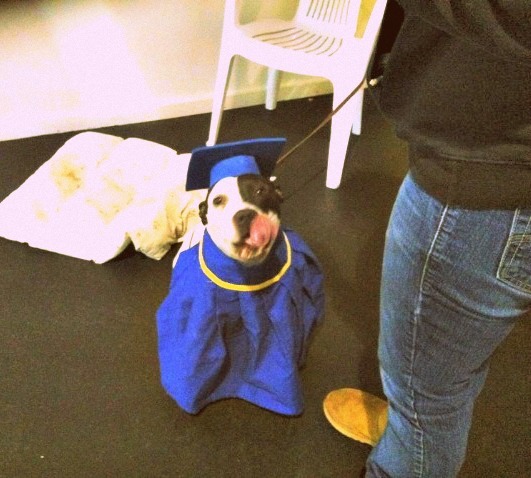 Bess, who is seen here graduating from her CGC class, was just one of the dogs who benefited from their policy change. Like many of the victims of dog fighting, Bess now shares her home with another dog (and a couple of cats!). Thank you CMACC for making these new beginnings possible! 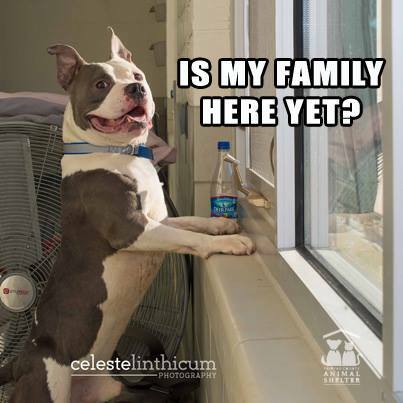 Fairfax County Animal Shelter, Virginia: Dramatically increases “pit bull” dog adoptions and begins accepting “pit bull” dogs on transports from other shelters. FCAS spent 2013 committed to creating fair, equal policies to increase “pit bull” dog adoptions. Despite having a few remaining restrictions on “pit bull” dog adoptions (which the shelter is actively working with the County to remove), FCAS was STILL able to nearly double the number of “pit bull” dog adoptions this year and achieved an overall positive release rate of 93% for their dogs! King Tut: who can resist this guy? In addition to starting play groups, a weekend fostering program, and a dog walking club, FCAS launched their popular Facebook page this year. And now they’re the ones teaching us a little something about great marketing via social media. Check out their photos, like the one below, designed to help this dog score a home with his ideal adopter (a guy)! Not only are they dedicating their efforts to getting local “pit bull” dogs adopted, but FCAS welcomes transports of dogs from nearby shelters in Virginia and DC and in 2013 those transports included “pit bull” dogs for the first time. Many shelters that accept transports do not accept “pit bull” dogs, so this deserves recognition. Thank you FCAS for opening your doors to ALL dogs in need! Rochester Animal Services, New York: Launched a 100% volunteer run playgroup program. In August of 2013 RAS opened the gates to a brand new play yard, launching a play group program run entirely by volunteers and supported by the staff. In addition to using the yard to exercise and enrich more than 240 dogs (of all breeds and mixes) since the gates opened this summer, RAS also uses play groups to increase adoptions. Throughout the week, the public is invited to view play groups, so that they can see the dogs in a different environment than in their kennels. Potential adopters get to watch the dogs at play and can pick their new best friends right out of the yard! Snow doesn’t stop RAS volunteers from running play groups! Rescues and other shelters are also welcome to watch the play groups. 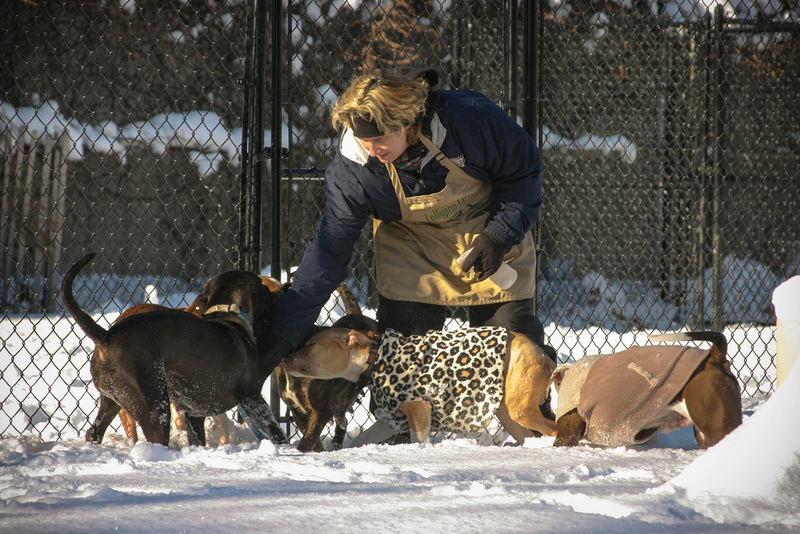 Getting to see the dogs interact in the yard helps them choose which dogs to pull for their own adoption programs. Since implementing play groups in August, RAS has increased their transfer out rate (to rescue partners) by 27%! Thank you RAS for showing us that a small group of dedicated volunteers can make a huge difference! Liberty Humane Society, New Jersey: Reduced Owner Surrenders by 30% through Pet Owner Support Program. LHS, instituted a new Pet Owner Support Program in 2013 and the results have already made a huge difference. In just the first three month, owner surrendered animals have dropped 30%! LHS tsaff member Alycia and puppies at your service! The pilot program offers families a $35 stipend (the equivalent that LHS spends to intake a new animal) for shelter services that can help pet owners keep their animals at home, rather than surrendering them. Services include free vaccinations, training consultations, dog crates and other simple solutions to assist families in keeping their pets at home. LHS reports that the majority of families didn’t need to use the full $35 stipend and the pets did not enter the shelter system. Thank you LHS for helping families to stay together! These shelters may not be making headlines, but to us and to their communities, the work they’ve done in 2013 was truly big news. Their accomplishments are indicative of what we’re seeing around the country – shelters are stepping up as the experts and making a difference for pets, people, and especially “pit bull” dogs in their communities. Bravo! Oregon passed some very good animal abuse statutes this year. It is now a felony to commit animal abuse.